John practices with Preti Flaherty's Litigation and Workers' Compensation Groups from the Portland, Maine office. His practice focuses on litigation and he regularly assists clients with defense of workers' compensation claims and insurance matters. John has represented numerous national insurance companies and group self-insurers before state courts, regulatory agencies and mediators and he has argued before the Maine Law Court. In addition to his focus on workers’ compensation, his work has included defense of insurance claims, unemployment appeals, collections actions and defense of Federal Longshore and Harbor Workers' Compensation Act claims and self-insurance matters. 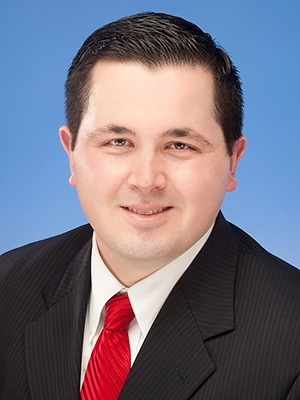 Before joining the firm, John served as a law clerk within the Civil Litigation Department of a small Boston law firm, and as an intern with the Worcester County District Attorney's Office in Worcester, MA. While in law school, he served as Associate Editor and Executive Technical Editor of the New England Journal on Criminal and Civil Confinement. John is a native of Barrington, RI and now lives with his wife Bridget in Falmouth.